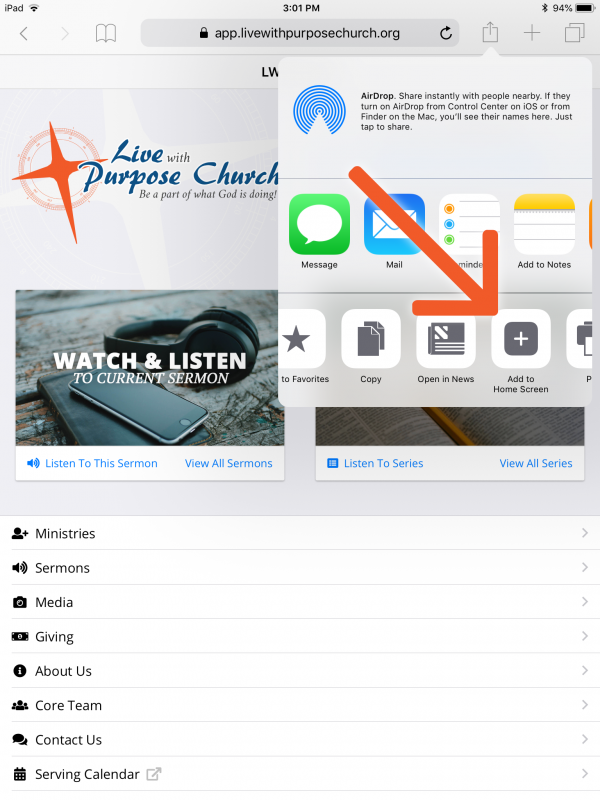 We invite you to make use of our new and improved LWP Church App. This update version still contains all the content and info as was found within the original one, but withe multiple improvements. The most obvious is the visuals, and interface matching much more in-line with an expected native app feel, which should make it easier to use as well. Besides this, this application can work on any device as well. This is based on the fact that the app is accessible via the browser, but with full app functionality. This method for using the app will use less space, installs quicker, and can be updated behind the scenes. But that's enough detail, check the new app out already! Open the Safari browser on your mobile device. 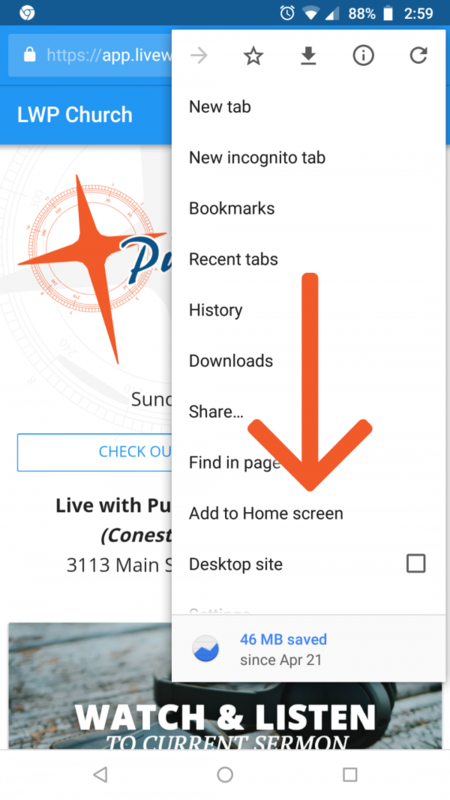 Choose the "Add to Home Screen" option. You can now access the app along with the rest of your apps. Open the Chrome browser on your mobile device. Click the settings button (three-dot menu). 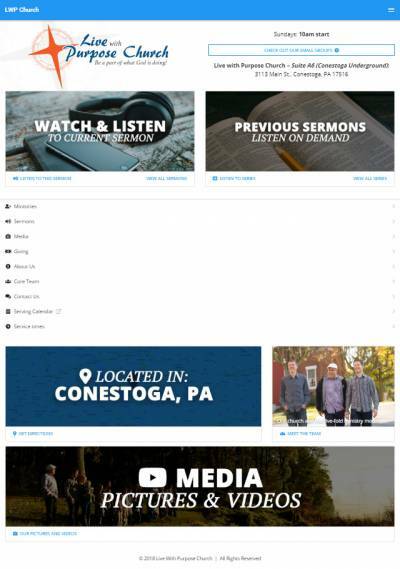 Other platforms and browsers can use the app just by browsing to app.livewithpurposechurch.org. From there you then may add the app to the home screen in preferred way on that app. If you are still looking for the original app from the Apple and Google stores, they can be accessed here until they reach end-of-life in their the app stores. The apps are now deprecated from us, however in the App stores, they will be officially end-of-life come February 01, 2019.